These six FREE Q+A sessions – running throughout the anniversary year and hosted by Bradford UNESCO City of Film – offer film fans and those hoping to break into the business, an unprecedented opportunity to learn more about one of the UK’s fastest growing industries. 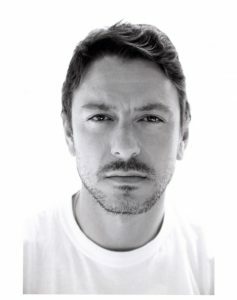 Born in Bradford to Italian parents, Enzo Cilenti has worked as an actor, producer and director in TV, film and theatre in both the UK and the US for over 20 years. His television credits include Game Of Thrones, Lady Chatterley’s Lover, Jekyll & Hyde, Bridget Jones’s Baby and many more. Jamie is a unit manager and location manager, who has worked on a range of different projects from low budget films to high end features and TV shows and is currently working on Emmerdale. Productions he has worked on include: Victoria (ITV), The ABC Murders (BBC) , Peaky Blinders to name a few. Leon is an experienced location scout and location manager based in Yorkshire. He has worked with organisations including the BBC, ITV, Warp Films, Heyday Films, HBO, Netflix, Kudos Productions, Tiger Aspect and Amazon and most recently location managed the forthcoming Downton Abbey feature film. Jonathan is a location manager who has worked as Selfish Giant, Ackley Bridge and DCI Banks and The Arbor. Rebecca is a TV Producer who has worked across the industry on a variety of different shows and genres. She has travelled extensively working with high profile talent on the world famous BBC Top Gear, has gone undercover and secretly filmed for BBC Rogue Traders and most recently has been embedded in a local surgery, making a documentary about the NHS, on Channel 5’s GPs Behind Closed Doors. After close to a decade of working in TV production, Rebecca has an abundance of experience in understanding what it takes to make great television, how to navigate the industry and what to do if you’re considering pursuing TV as a career. Rebecca Harris studied Film Production at The University of West London and spent breaks from studying working as a Runner at post production house Crow TV. After graduating with a first class honours degree in 2013 Rebecca volunteered with Media Trust on the ongoing Community Channel feature show Brilliant Britain, later joining production company Slick Show reels, now Slick Films, in 2014 where her skills grew over the next few years to becoming a full time Producer of show reels, music videos, corporate videos and more recently of short films. Rebecca’s official film producing debut The Silent Child premiered at Rhode Island International Film Festival in August 2017 where it won the Grand Jury Prize for Best Live Action Short, qualifying the film for Oscar® consideration. The film then went on to win the Oscar® at the 90th Academy Awards on March 4th 2018. Later in 2018 Rebecca was the youngest in The University of West London’s history to be awarded the title Honorary Doctor of Letters for her work on The Silent Child. Michael Hirst was born in Bradford, Yorkshire in 1952. He attended Bradford Grammar School, the London School of Economics, Nottingham University and Trinity College, Oxford. He has been a professional writer since 1980. Film scripts include: Fools of Fortune, starring Julie Christie, produced by Working Title, 1990; The Ballad of the Sad Café, starring Vanessa Redgrave and produced by Merchant-Ivory, 1992; Meeting Venus, directed by Istvan Szabo, starring Glen Close, 1993 and Elizabeth, starring Cate Blanchett, produced by Working Title, 1996. Television series include: The Tudors, for Showtime, 4 Seasons, 37 episodes, 2006-2009. Vikings, for MGM and History, 6 Seasons, 89 episodes, 2012-2018. In 2013 she created a 15-year, £55m business plan for Locksmith Animation, which successfully launched in April 2014. From 2009 to May 2013 she was Director of Film Finance for Prescience responsible for the finance and business affairs of 17 of their film investments, including The Guard and The King’s Speech. Prior to joining Prescience in 2009, she acted for a number of Film Fund clients. From 1999 to 2003 she was Director of Finance and Business Affairs at Renaissance Films. Having qualified as a UK chartered accountant, she began her film career with Warner Bros, and was subsequently a Financial Controller for Palace Pictures, BBC Films, PolyGram Film International and FilmFour. Audience: For anyone interested in media, film etc.